Freedom and I drove to Westport Mass. 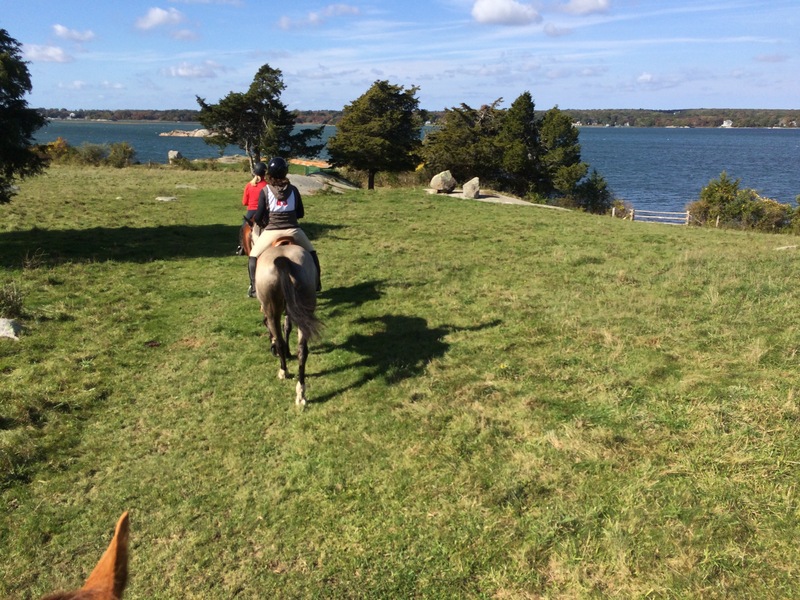 for a hunter pace that is renowned for its beautiful landscape. It was a picture perfect fall day! 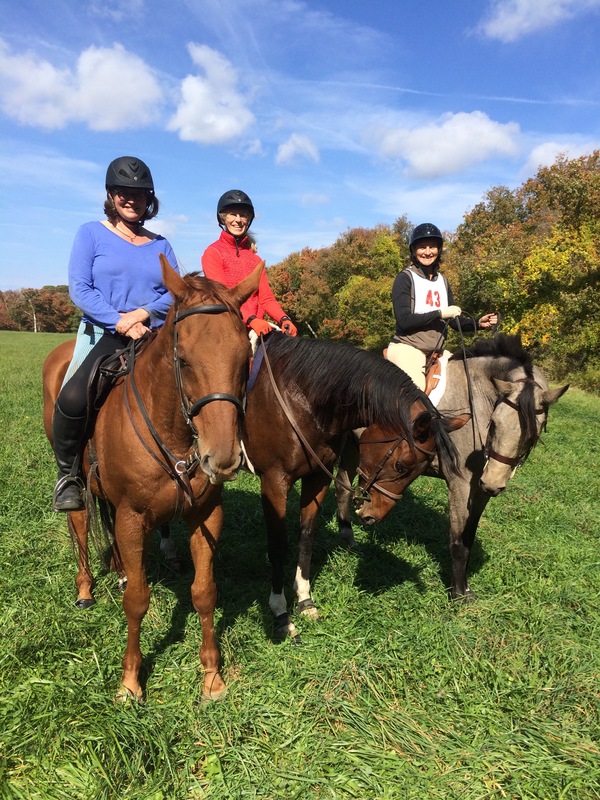 The highlight of the Fall Hunter Pace season in New England is most definitely the pace event in Westport, Mass. sponsored by Norfolk Hunt Club. 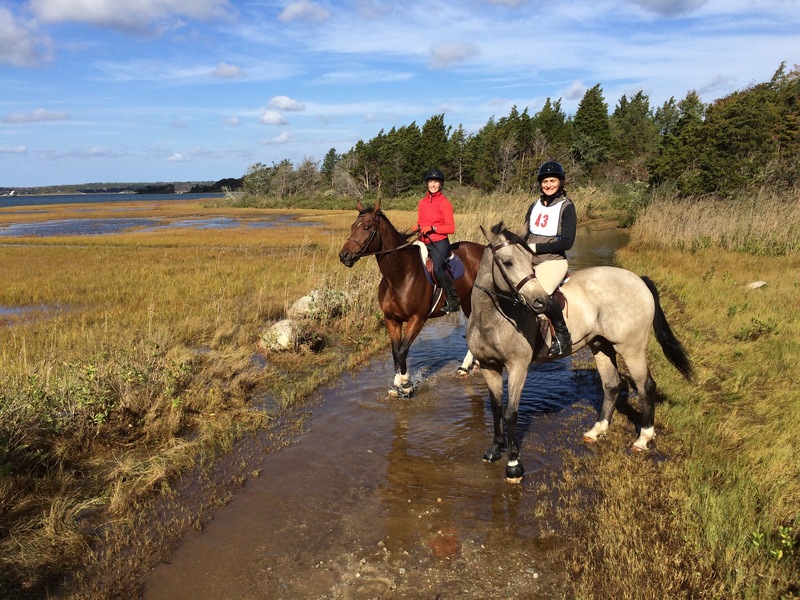 The pace takes you through remarkably beautiful landscape with dramatic water views. Much of the land is only open to the public for this ride. The pace goes through huge open fields with water views. Absolute perfection. I don’t often go, because it’s quite a drive. 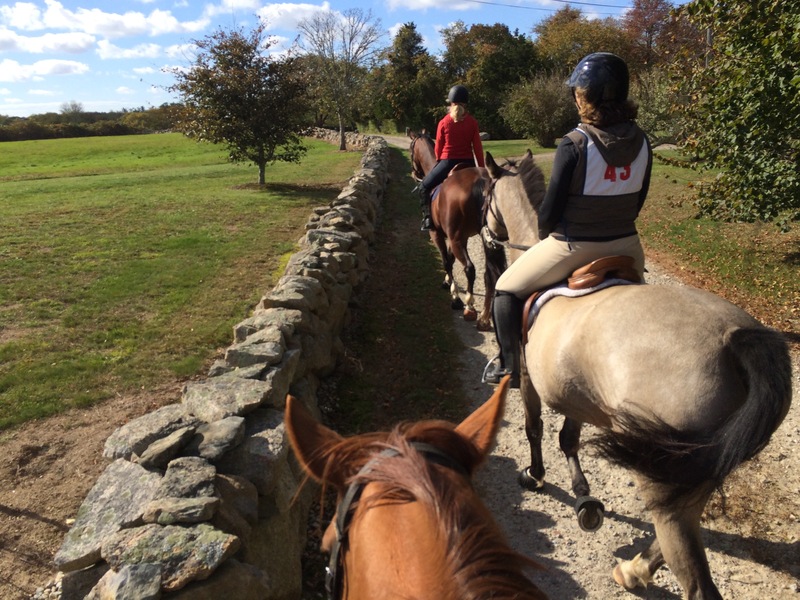 This year my husband offered to ride shotgun down there with me (you know from reading my blog that I hate trailering on the highway, especially when it’s route 128 outside of Boston). There were omens from the beginning that things might not go exactly to plan. First, I overslept. I had turned the sound off on my phone and so my alarm didn’t go off. It meant hurrying a bit to make sure we got there in time to meet the peole I was riding with, but we pulled it off, pulling up only a few minutes late. Then Freedom threw a small tantrum when he came off the trailer. Usually, he stands quietly to be tacked up, but I had to wrestle his bridle on and there were a few moments where I thought he might get away from me. I didn’t realize quite how much he’d struggled until the bruises appeared on my arm! We headed off down the trail and everything was great. Until, Freedom started to feel not-quite-right. He’d felt a bit footsore when I’d hunted him on Monday, so I’d put hoof boots on his hinds, and had tested them on Wednesday with a two hour ride. At first he felt just a tad off, but the more we rode, the worse he felt. His left hind was definitely bothering him. This was the hoof that had the abscess from hell last year; the abscess that continued to cause trouble this year as the damage to his coronary band grew down his hoof. Could it possibly be bothering him again? 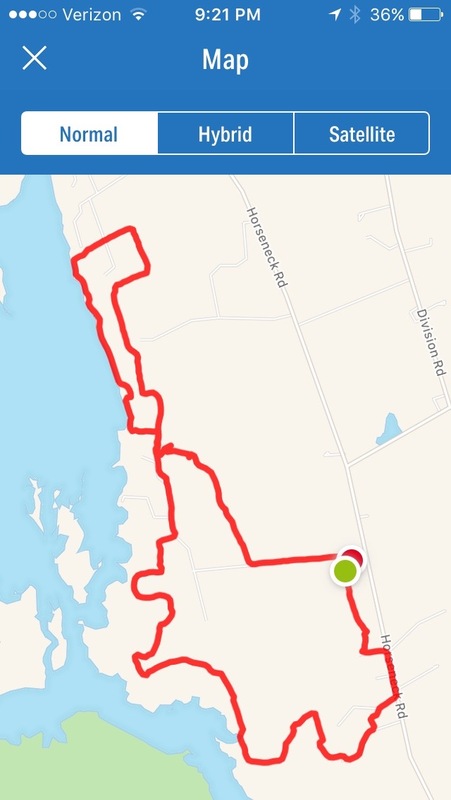 At least I got to ride about 7 miles and see all the water views. When we got to the check I decided to let the rest of the team go on and I took the short way back. He felt good enough to jig continuously for the first five minutes and I thought I might experience a full racing start when we passed the cows, so he’s not so lame that there’s an obvious cause. My farrier is coming on Thursday so I’ll have her put hoof testers on that hoof. If she can’t find anything, I’ll have have the vet out. It may be time to x-ray that foot. In the meantime, he’s lazing around the pasture walking just fine. No heat, no swelling, nothing obviously wrong. Ahhh, horses! ugh horses!!! 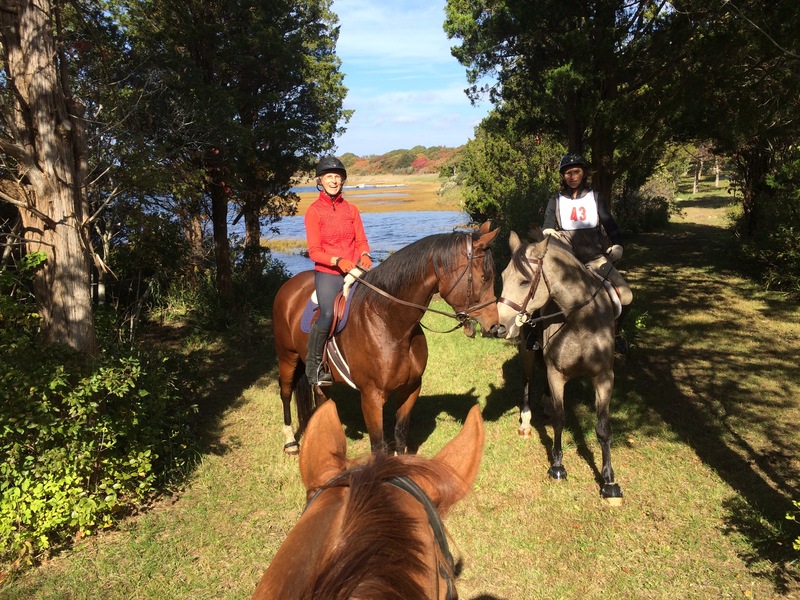 beautiful pics all the same – glad you got to enjoy at least a little bit of the pace! Exactly. Still got the water views and caught up with friends. Now, just need to figure out what’s going on with Freedom. Luckily my farrier is already scheduled to be here on Thursday which is a good first step. bummer, but it still looked fun! It was! I just need to stay focused on the good part.